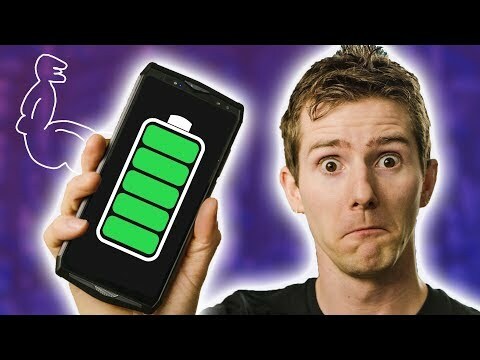 I was watching the below on youtube and it struck me that there is a lot of work being done to improve the efficiency and thereby improve the battery life. Why, because we all love good battery life, but it really adds bulk and therefore battery capacities are normally pretty restricted. An interesting question though is what is the public feeling about the trade off between the bulk of the phone and the battery capacity? How many people out there would really seriously consider a phone even if it is a bit more uncomfortable in terms of size and weight if it brought them a significant increase in battery capacity. The video goes into enough details about the new use cases that it opens up if you do have such increased capacity. I have to say, it did trigger my curiosity. I think we have become used to the "fact" that we are at the upper limit of how big a battery can fit into a phone and that is simply something to accept, but I think I myself would be interested in a bulkier phone if it brings me significant increase in battery. @Danie I'd like more battery life please! I think we all would, especially since most of us have dodgy USB charging connectors so sometimes we come back to our phone and find it hasn't charged and we've now for <50% for a day! We have "range anxiety" for our phones! I don't want a phone as enormous as the Ulephone in that video, but I definitely think that HMD should be aiming for at least two days of battery life (aiming for 3 and 5 at a push). I read one HMD phone publicity piece which advertised that the battery will last all day.. all day?! One day?! What?! Shocking. I could probably tolerate an additional 1mm of thickness for a few hundred extra mAh. Exactly my point as well. That uncomfortably huge would probably not do, but a few millimeters would not do that much harm while it could go a long way towards the long battery life experience of the pre-touch screen era which I still long for. @Danie I completely agree, I also long for the days when battery life was longer. But it wasn't even the pre-touchscreen era - my Nokia N8 from 2010 would last for a few days without needing a charge. The main difference is that Symbian was a very eneergy efficient OS, and Linux is not (by comparison); Android with the Android Runtime is even less efficient. I would rather see quick charging optimized vs make bigger batteries which just adds to the environmental waste,and more batteries models. It also cost more to have to test and certify additional batteries. Well batteries can be recycled, they're not all waste. If they won't provide bigger batteries then why not ones that the user can replace, like we used to have on every phone? Quick-charging, Fast-charging, Dash-charging, etc, don't help when you're away camping for the weekend without a power socket. A lot of environment issues are because people don't recycle used electronics properly. A removable battery makes the design of the phone completely different but has become no standard for all phone manufacturers. Not sure there is more than a couple even made like that anymore. I prefer sealed phones that cost less overall. There are several clever solar chargers to use when camping. madbillyjdi000 states, there are all kinds of interesting solar charging solutions etc, but for me first price is still not to worry about charging at all. When it comes to the topic of battery waste, that is also a valid point, though I think it is worth keeping in mind that how far you push fast charging also determines the lifespan of the battery. So can either go for the bigger capacity with less charge cycles that I am sure can bring a bit of longer lifespan with a good battery design or you can opt for a smaller unit which will necessitate more charge cycles and combined with all kinds of fast charge will inevitably lead to reduced lifespan. In the end I am not sure that the waste will be significantly different. I guess it is also something that develops slowly in line with battery manufacturing research so hopefully as time goes by we will keep on seeing improvements in this area anyway and it is good to see that HMD keep including fast charging so they are keeping up with this trend. I guess for as long as people do not get any financial or other gain from recycling their batteries we should not expect the majority of people to change their habits sadly as it is. Maybe it would also help if it is made a very accessible option with battery recycling bins everywhere so it becomes as easy as recycling paper, glass or plastics. Anyway I think there is a lot of work to be done on the whole battery eco system to make it work better. Hopefully things like electric cars etc. will change the scale of the industry enough to create the needed momentum and mindset change. @Danie I think you're right, the waste problem is probably not really affected by battery size. Jason the solar charger is a workaround which I honestly didn't need in 2010 with my N8. We have actually gone backwards with battery life, not forwards, because moderns smartphones actually last less time than they did in the past. I think the appearance of batteries going backwards is not reality. The phones of today are micro computers with hd, hd plus screens. People use phone screen on to watch and absorb videos and movies. Location services constantly monitoring location. So smartphones have increased background energy usage and people actual use them 5x-10x more per day than in the past 8-10 yrs. Batteries have kept up and improved to keep pace but I think the overall demands on a phone usage and function make it seem like batteries have fallen behind. Hi @jdi000, I'm only comparing the life from the user perspective, not the performance of battery technologies which I know have improved. you list a lot of things but the energy saving improvements in screens and chips has also been huge during this time, and Android has also got better. But battery life from a user perspective is still not what it was 8-10 years ago - this is clearly a step backwards. @jason wow are you working with hmd global/Nokia.....if not they need to employ you then.....thanks a lot for your insights and analysis on the basic issues facing nokia phones in the mobile phone highly competitive market....my regards to mad billy enjoy your conversations and input in trying to make Nokia great..